We hope your Father’s Day is meaningful. You’ve no doubt heard a lot about Keith Young, the heroic firefighter who lost his battle to cancer on Saint Patrick’s Day. Keith was a celebrated firefighter in Ladder 156 in Midwood, Brooklyn. 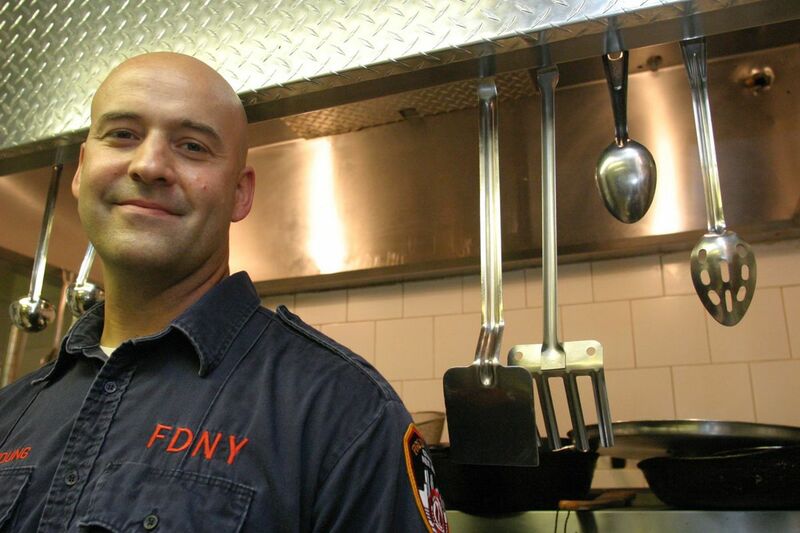 He was known as the “Firehouse Chef” and published “Cooking with the Firehouse Chef”. He triumphed in a chicken cacciatore cook-off on the Food Network’s “Throw down With Bobby Flay” and he won two championship titles on “Chopped”. More importantly, he was a wonderful father to his three children, Kaley, Christian, and Keira, and he was the primary caretaker for his children after his beloved wife Beth passed away three years ago. On this day in particular, we thought that you’d be interested in hearing this moving radio interview that I did with his two inspiring daughters who remember their loving father and what it’s like for them on their first Father’s Day without him. As I said on Mother’s Day, it is so important to make every day count with your family and loved ones! What a moving, heartbreaking interview. Keith Young and his wife left a beautiful legacy in his children; strong and courageous, capable. Loving towards each other and able to be grateful despite the challenges they’ve had to deal with. Very moving Shelly does a great job showing the strength and love of this entire family these girls should be very proud of themselves for keeping there Mom and dads dream going . Michael Barasch legal help and support is also applauded and recognized by all of us that that have been impacted by the 911 tragedy please continue the great mission you have undertaken for all of us.